This investigation reported the isolation and characterization of a potent heavy metal accumulating bacterial strain Enterobacter cloacae B1 from polluted soil at Ghaziabad, India. The minimum inhibitory concentration of the selected bacterial strain was recorded to be 1100 ppm for lead, 900 ppm for cadmium, and 700 ppm for nickel. Bioaccumulation of lead by this bacterial strain was extremely high (95.25 %), followed by cadmium (64.17 %) and nickel (36.77 %). Antioxidant enzymes such as catalase (CAT) and superoxide dismutase (SOD) activity was determined in presence of lead, cadmium, and nickel at a concentration of 400 ppm. To monitor the physiological stress, malondialdehyde (MDA) level was also estimated. In order to optimize the flocculant production, bacterial strain E. cloacae B1 was cultured in specific medium at different incubation period (24 to 72 h), pH (6.0 to 9.0), and temperature (20 to 50 °C). It was observed that surfactant production was maximum at 72 h of incubation period (47.28 %), pH 8.0 (56.63 %), and temperature 40 °C (62.94 %). Protein expression profile in presence of these heavy metals was also interesting. Few proteins were noticed to be overexpressed in presence of these heavy metals. We are grateful to Helix Biogenesis for providing laboratory facilities and financial supports. Hassanshahian, M. (2014). 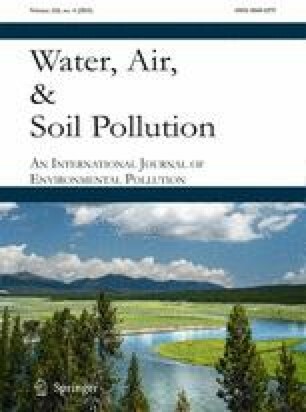 Isolation and characterization of biosurfactant producing bacteria from Persian Gulf (Bushehr provenance), Marine Pollution Bulletin (www.elsevier.com/locate/marpolbul).